ISSEE is a world-class provider of security and explosives consultancy to national and international defence, police, INGOs and commercial organisations. ISSEE is a world-class leader providing explosives & security consultancy and advisory services to national and international Defence, Police and Commercial organisations. We deliver our services to organisations that seek accredited, reliable and trusted solutions to counter terrorism, improve security, protect infrastructure and manage explosives and ammunition safely. ISSEE is recognised internationally for the design and delivery of solutions to generate and sustain capability, assess, coach and mentor newly qualified operators and provide whole-life munitions management services. This ranges from procurement advice through to the supply and safe disposal of munitions. ISSEE can be trusted to deliver a full and comprehensive service across the spectrum of business and homeland security requirements. ISSEE is not your typical training centre. 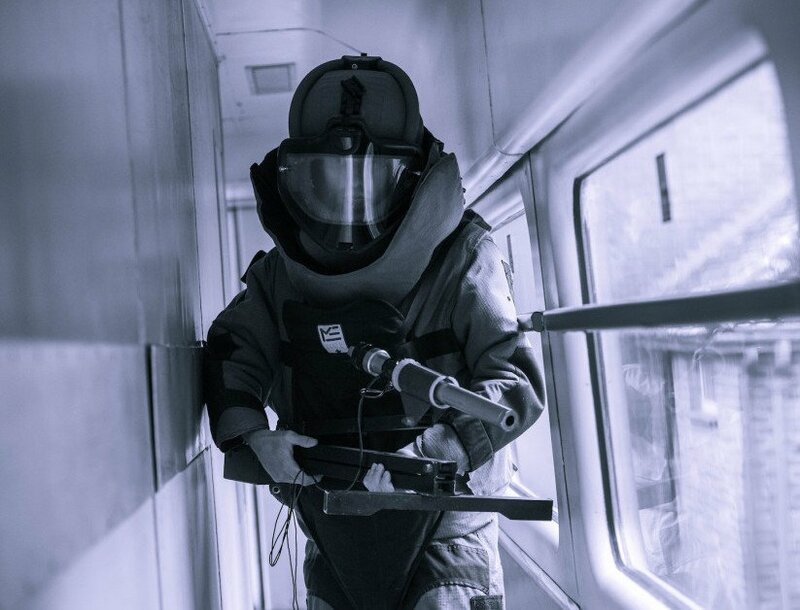 Experience engaging counter-terrorism, EOD, IED and explosives safety training at our bespoke facility — unique in the commercial sector.